ATS rebuild kits for your transmission include the parts we put into our transmission packages! 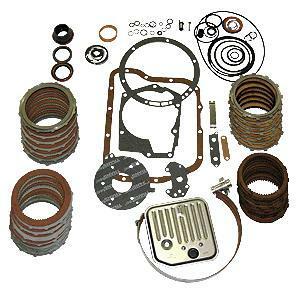 The rebuild kit includes clutches, pressure plates, filter, bearings and other hard part modifications. The kits can be combined with ATS’ valve bodies, billet shafts, modified pump and torque converters to build the ultimate setup. Contact ATS to learn more about the products available for your transmission.